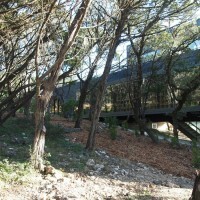 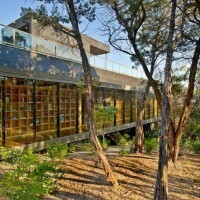 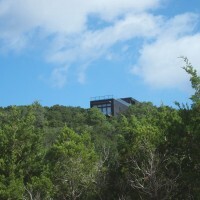 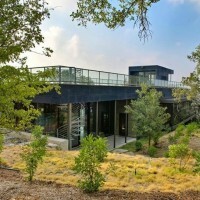 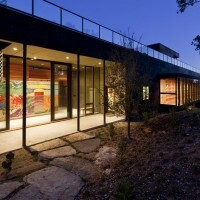 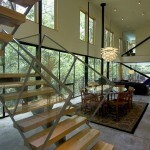 Cunningham Architects designed this residence located in Wimberley, Texas. 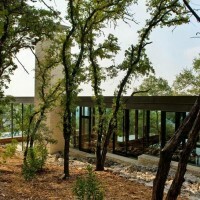 Nestled on the edge of a bluff in the Texas hill country, the Wimberley residence quietly sits among the brush and trees, providing a peaceful respite for its inhabitants. 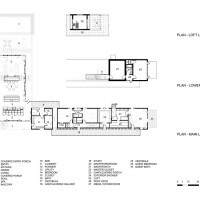 An “L” plan effectively separates the bedroom wing from the more public kitchen/living/dining room wing. 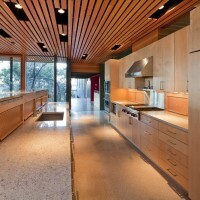 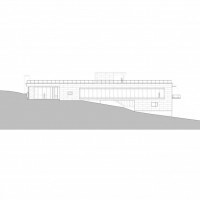 As such, the house essentially is two discrete boxes, one of glass, and the other of stained cement fiberboard, indicative of their respective functions. 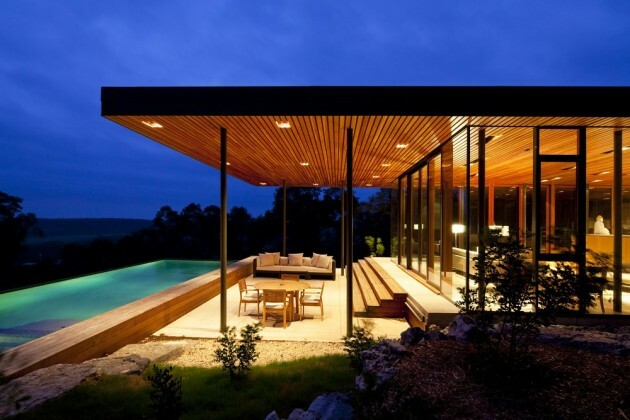 The roof deck is capable of hosting large family gatherings while affording expansive views of the surrounding area. 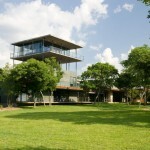 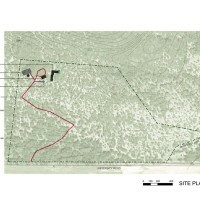 It also acts as a rain water harvesting surface for the on-site collection system. 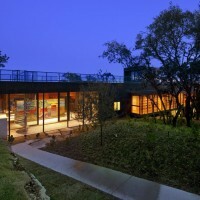 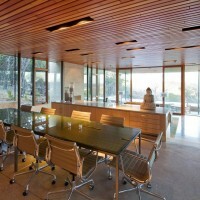 As an exercise in sustainable building, the house utilizes energy efficient construction techniques as well as local resources and building materials. 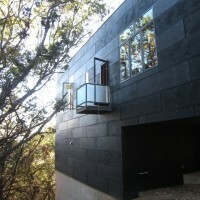 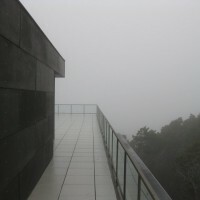 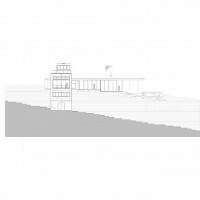 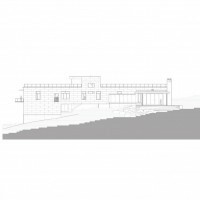 Visit the Cunningham Architects website – here.